BRUCE EDWARDS, General Manager Marketing for William Adams reports on the transformation of Cave Hill Quarry. 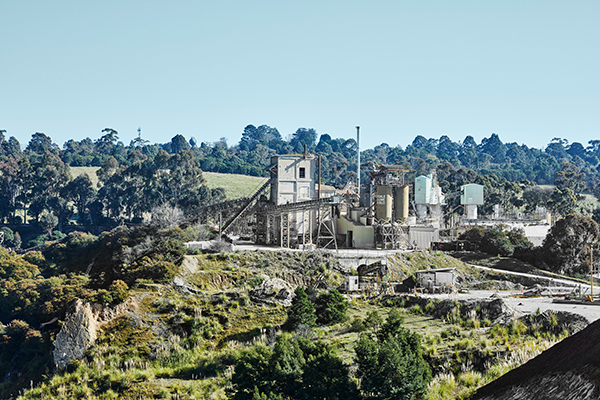 In a ground-breaking new project, Cave Hill Quarry, Lilydale will be transformed into one of the most spectacular development opportunities ever to be seen in Melbourne. 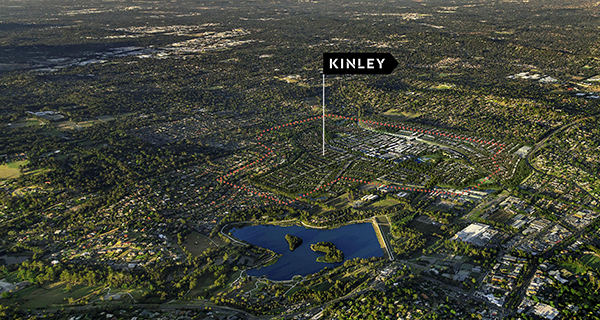 The Kinley vision is set to become Melbourne’s newest eastern suburb, encapsulating a series of well-connected neighbourhoods – including a village centre with specialty shops, cafes and public spaces. Every home will enjoy easy access to leafy streets, green parkland and a network of walking and cycling trails. 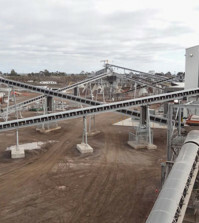 vertical shaft kilns in Australia. In addition to the Cave Hill site, David Mitchell also built many of Melbourne’s landmark buildings including the World-Heritage listed Royal Exhibition Building. With a rich and vibrant history, there is no doubt that the Mitchell family was prominent in shaping Melbourne’s early history and culture. 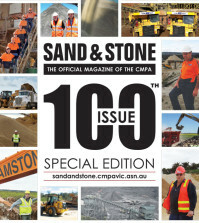 The size of the project is enormous – the largest single urban-infill site in Australia. 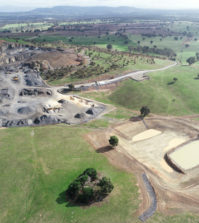 The quarry itself is large enough to house the Melbourne Cricket Ground and that alone makes up less than one-sixth the development area. The scope and size of the redevelopment is certainly not a small undertaking and filling the 125-metre-deep, 9-million cubic-metre hole is not without challenges. Water seepage at the bottom of the quarry is significant and requires a heavy-duty pump to operate 24 hours a day, seven days a week, pumping 1.8 million litres of ground water per day. The engineering methodology for filling the hole involves placing the material in certain layers combined with detailed geotechnical testing, to make sure each layer is compacted and able to provide a strong foundation for future housing and facilities. The hole will be filled with native overburden material and the filling process is expected to take approximately seven years. 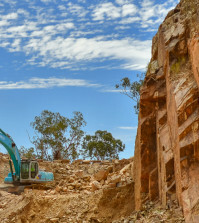 The quarry is a flurry of activity, with big yellow trucks transporting what is likely to total 400,000 truckloads, carrying 20 million tonnes of fill over the course of the next seven years. Caterpillar was selected as the best choice for this demanding application due to their superior performance and technology driven equipment management. In fact, Bayport has enjoyed a longstanding relationship with local Caterpillar dealer, William Adams in Victoria. 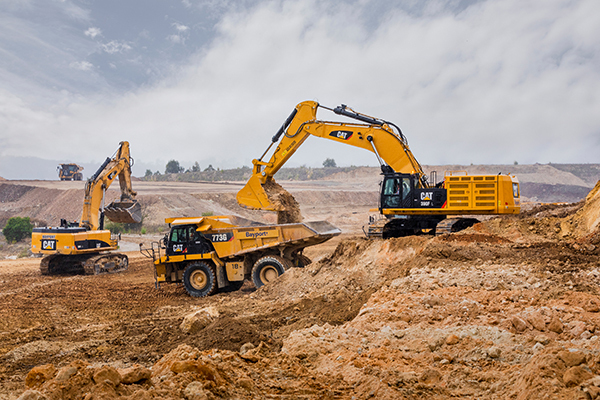 The largest of all machines onsite is the Caterpillar 390F L Hydraulic Excavator. One of two 390’s on site, this machine helps to keep production numbers up and reduces owning and operating costs while providing all the power, fuel efficiency, and reliability to maximise productivity. Used in conjunction with the new fuel-efficient Cat 773 G trucks, haul material can be loaded at a lower cost per tonne. The latest addition to the Cat fleet at Cave Hill is the D8T Dozer. The D8T joins the latest Cat 982M Series Wheel Loader, two 825K Compactors, and two Cat 19 tonne vibratory rollers – a CP76 padfoot and a smooth drum CS78 are also used at the site to provide superior compaction as each layer of the quarry is filled to a specified density. These compactors have a GPS record for ease of operation, helping operators to distinguish between areas that have been compacted and those that still require attention. “The reliability and performance of the Caterpillar equipment makes it the perfect choice to successfully transform this site from a once proud industrial site to a new and exciting residential development,” said Richard. It would be hard to find a site that comes close to Cave Hill’s rich 140-year history. 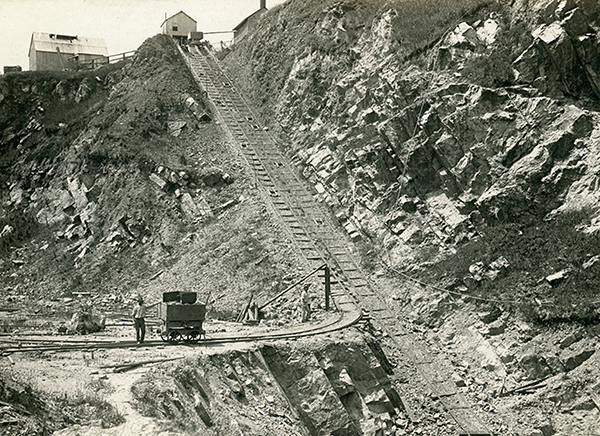 Throughout its lifetime, it has provided limestone for landmark Victorian infrastructure projects, farming products for government and households alike and was also home to one of Australia’s most famous opera singers. As the site now enters another new and exciting era, its past will not be forgotten but preserved, respected and celebrated. Once complete, the 163-hectare site will be home to thousands of Victorians with a 4000-lot subdivision, commercial centres, retail, cafes and a proposed train station. Once again, life will go on at Cave Hill as the Kinley era begins.